Award-winning composer Steve Luck is set to launch a brand new concert series made up of 45 minute shows filled with blissful, uplifting and emotive original music, up close and live, all taking place at his studio on 36 Lime Street during your lunch hour. The first show arrives on Thursday 25th January. 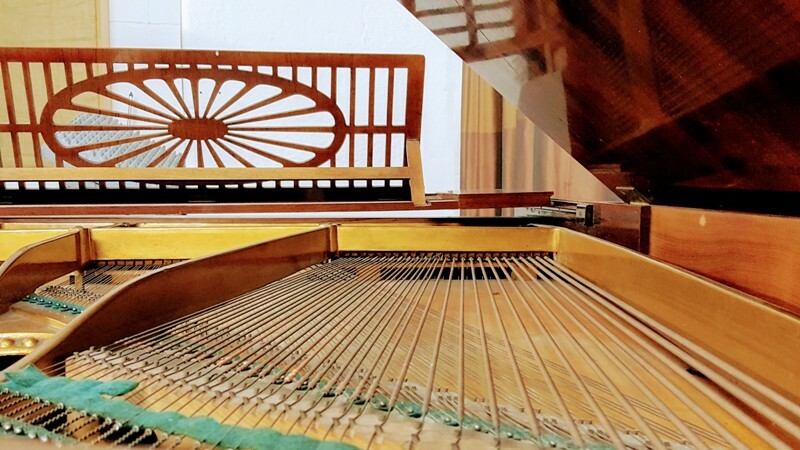 The series will feature the finest in contemporary classical music from composers based in the north of England and will be performed on an antique Bechstein grand piano, in a listed building which is rarely opened to the public. If the names of Ludovico Einaudi, Max Richter, Michael Nyman, Nihls Frahm or Olafur Arnalds mean anything to you, then you are going to adore this series of concerts. Three of the featured composers have already been announced with more to follow. On Thursday 25th January Steve Luck himself will launch the series, performing pieces from his solo piano albums Sailing on The Big Sea, Home and Murmuration. Blyth-based composer Mark Deeks arrives on Thursday 22nd February and Thursday 29th March sees Leeds-based pianist Simeon Walker travel to the North East to help celebrate international piano day. The Atmospherica series will take place on the last Thursday of every month at Steve Luck Music, 36 Lime Street, Newcastle beginning at 12.45pm (doors open at 12.30pm) and finishing at 1.30pm.